Bulgarian centre-right coalition the Reformist Bloc held its first congress on January 28 2017, with just less than two months to go to the country’s early parliamentary elections, and against a background of political parties in that part of the spectrum deeply divided among themselves. Voters in Bulgaria’s March 26 elections this year that supported the Reformist Bloc in the October 2014 parliamentary vote could find themselves with three choices. 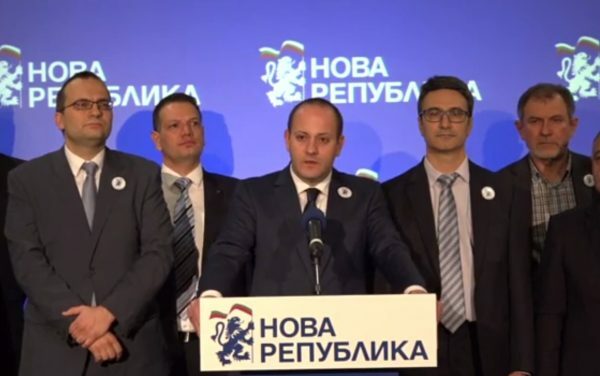 The Reformist Bloc participated in Boiko Borissov’s November 2014 coalition government, but there was a breakaway a year later as Radan Kanev led his Democrats for a Strong Bulgaria party into opposition. 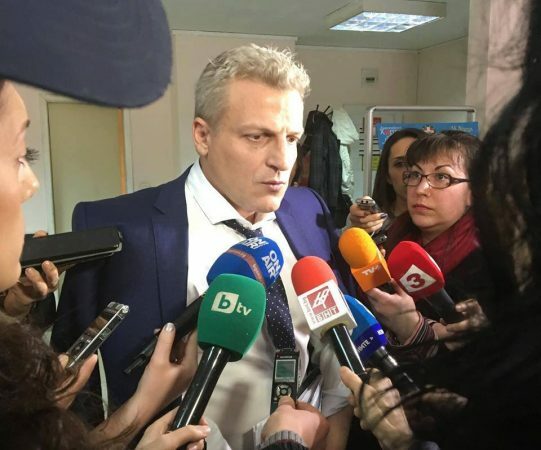 The catalyst was the resignation of the bloc’s Hristo Ivanov as justice minister, in protest against what he saw as the inadequate form of constitutional amendments billed as further judicial reform. Before he became justice minister in the Bliznashki caretaker cabinet in August 2014 (going on to retain the post in the Borissov government), Ivanov, a lawyer since 2002, was project coordinator of the Rule of Law Initiative of the American Bar Association before that. From 2006 until his cabinet appointment, Ivanov was programme director of the Bulgarian Institute for Legal Initiatives, a non-partisan NGO advocating reform in Bulgarian judiciary and adoption of international good practices in the field. Ivanov now has formed the “Yes Bulgaria” (Да, България!) party. He applied to Sofia City Court on January 13 to register the party. For the March elections, parties seeking participation may apply from February 2 to February 8, leaving open the question whether Ivanov’s party will be able to pass in time all the legal hurdles required to stand. In parallel, Kanev and his DSB, joined by some Reformist Bloc figures, has founded the New Republic (Нова република) cross-party political platform. Notably present at the founding was Traicho Traikov, who was a minister in Borissov’s first government before being axed, and who was the bloc’s candidate in Bulgaria’s November 2016 presidential elections. Ivanov, the launch of whose party caused quite some considerable enthusiasm among centre-right, educated, urban and relatively younger voters – which also translated into a growing response to a drive for individual donations to the party – has signalled reluctance to go in with Kanev’s project. This fractiousness among centre-right voters is nothing new in Bulgarian politics, tracing its long roots back to infighting among the broad anti-communist movement at the beginnings of Bulgaria’s transition towards democracy. More than once, it has enabled other political forces to steal a march on the standard-bearer of the centre-right. The late 1990s version of the Union of Democratic Forces was trampled by Simeon Saxe-Coburg’s party (itself later eclipsed politically). 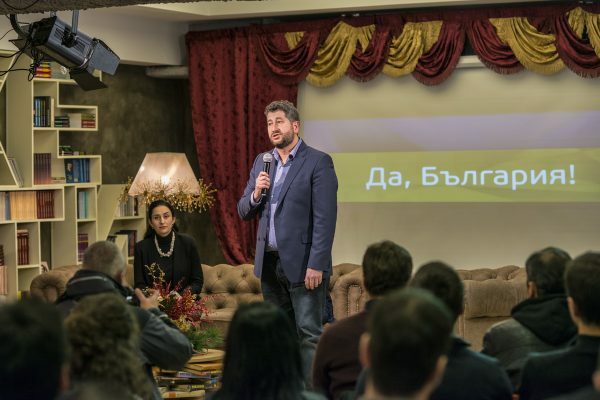 In turn, the traditional centre-right politicians have in the past decade been overshadowed by the Boiko Borissov phenomenon and the fact that his GERB party claimed the major mantle of the centre-right. 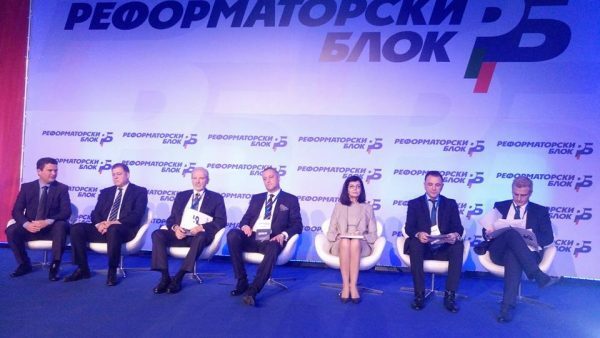 Through the Blue Coalition (of the UDF and DSB) of a few years ago to the current Reformist Bloc, there has been significant and unresolved internal controversy over whether to make terms with Borissov or present an alternative to his party. Notably, at the January 2017 Reformist Bloc congress, some of those present were members of DSB who disagreed with Kanev’s move into opposition – a counterpoint to those bloc members who have hitched their wagon to Kanev’s star. But it may not be much of a star. The fracturing of the bloc may add up only to defeat for all. According to a poll by Alpha Research, among the more reputable of Bulgaria’s opinion polling agencies, were elections held now, the Reformist Bloc would get 3.8 per cent of the vote. Ivanov’s Yes Bulgaria would get 2.3 per cent and Kanev’s party a mere 1.4 per cent. Such results all are below the four per cent share of the vote threshold required to win seats in Bulgaria’s National Assembly. Of course, there are two months to go to the actual vote, and voter mobilisation could – as it has in the past, repeatedly – see a party polled as being below four per cent eventually surpassing that hurdle, to win perhaps a dozen seats, sometimes more. If Ivanov’s party is not registered in time for the election, voters who might have chosen it might opt for another of the alternatives – the bloc or Kanev – or, of course, could stay away, or tick the innovation on Bulgarian election ballot papers, “I don’t support anyone”. 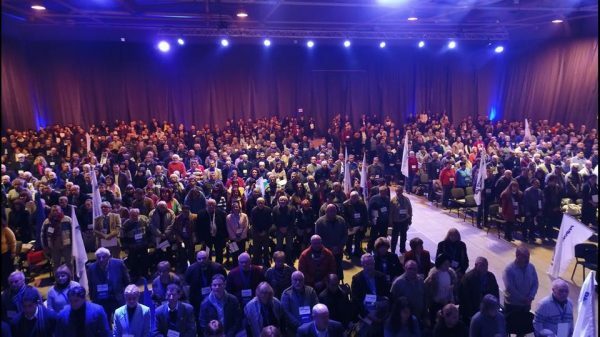 At the Reformist Bloc congress, Petar Moskov – who broke with the DSB to remain in Borissov’s cabinet when Kanev and his party withdrew their support for it – called on the DSB to return to the bloc. In Moskov’s view, the bloc could be the “glue” that stops the Bulgarian Socialist Party and Movement for Rights and Freedoms getting back into power. The ideology of the Reformist Bloc should be defending conservative values in Bulgarian politics. There should be two main foundations to the bloc’s platform – first, strong state institutions and security, health care, education and the rule of law, and second, upholding human freedoms, protecting property rights, entrepreneurship and competition. “We need to get rid of the socially-liberal deceptions of the transition,” Moskov said. The Reformist Bloc’s January 28 2017 congress. Photos via the Facebook page of the Reformist Bloc. Meglena Kouneva, leader of bloc constituent party the Citizens for Bulgaria Movement and who was a deputy prime minister in the second Borissov government, spoke out against the possibility of a left-wing government but also against a status quo in which only one party dictated what constituted the right-wing. The Reformist Bloc was for the most valid policies that would change life in the country, Kouneva said, naming these as including dealing with the shortcomings in health care, social policy and education. UDF leader Bozhidar Lukarski, addressing the Reformist Bloc congress, was greeted with chants of “UDF, UDF” – the rallying cry of the mass public rallies of the 1990s. Lukarski, who also was one of Borissov’s ministers, said that the real handing out of the Oscars would come in late March, with the early parliamentary elections. (Lukarski was speaking figuratively; the annual awards of the Academy of Motion Picture Arts and Sciences is on February 26 this year, precisely a month before Bulgaria’s election and the day that the official campaign period begins). Also joining in calls for unity, Lukarski said that the bloc should participate in the next government, not as an end in itself, but because of the desire of right-wing voters for a strong right-wing government. Nikolai Nenchev, leader of an agrarian party that is part of the bloc, and who also a minister in Borissov’s second cabinet, echoed the calls for unity, urging the putting aside of selfishness. “We have a much higher goal, for the sake of Bulgaria, for the sake of our children, to be united, committed to our common cause and programme,” Nenchev said. Naiden Zelenogorski, who was a spokesperson for the bloc’s parliamentary group in the now-dissolved 43rd National Assembly, also urged unity. “At the parliamentary elections, we will show our strength, demonstrate precisely how we – the Reformist Bloc – should deliver a hard blow to the left right now, when they are showing an appetite to return to power. The BSP is hungry for power and only the Reformist Bloc, no one else, can stop it,” Zelenogorski said. 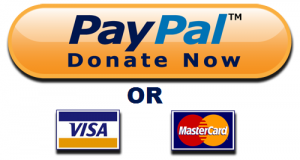 Whether that latter point of Zelenogorski’s is true depends on where you stand. For the centre-right and right-wing in Bulgaria has a track record, indeed long ago, of stopping the BSP, in the 1990s in the form of the old UDF. In the first decade of the 21st century, it was eventually Borissov’s GERB that trounced the BSP, and then not always. Unfortunately for the centre and right-wing of Bulgaria’s spectrum, talk of hard blows and stopping a return to power generally may also be applied to their own track record against themselves.